Best cake I´ve had in ages! We went to dinner to some friends´ house and when they served us this cake we managed to eat the whole thing! 🙂 So yesterday I had to replicate the success, since we had guests of our own. 😉 It´s a two layered cake, made out of the same dough, half of it you bake and the rest you put on top as a chocolate mousse. 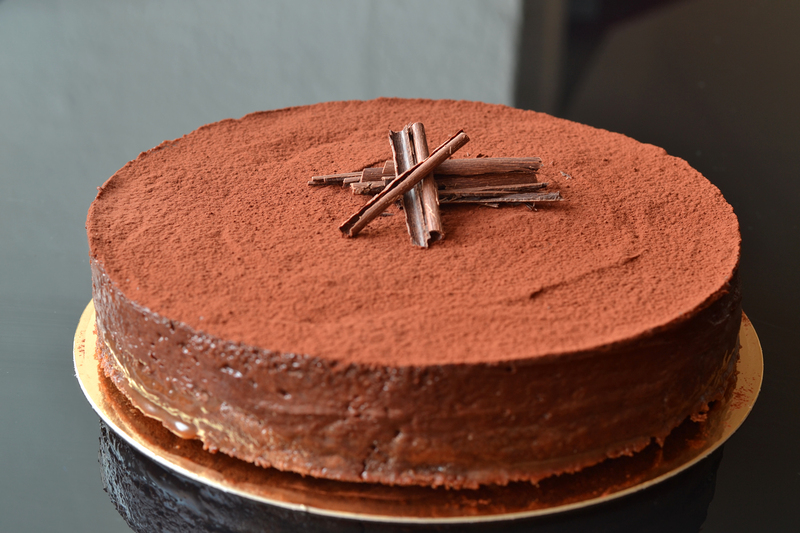 It´s easy to make, scrumptious and divine! As one lady put it, you only need to know how bake two cakes: this and a chocolate cake, in case you have children visiting. 😉 I so agree! Melt chocolate and butter in the microwave or over a casserole with water. Mix 2/3 of the sugar with the egg yolks and whip it white. Whio the egg whites stiff in another bowl and add the last third of the sugar little by little. 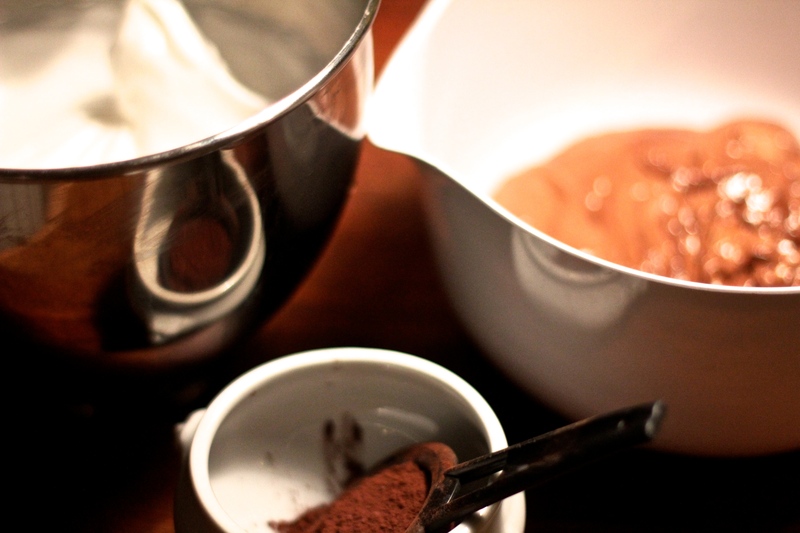 Fold carefully the chocolate mix into the egg mass (yolks), then add the egg whites cream while mixing with a light hand. Butter a big cake tin, sprinkle with sugar and pour half of the dough in the cake tin. Bake it in the oven for 25-30 min. Put the rest in the fridge. Assemble when cold and sprinkle lots of cocoa on top. Enjoy it with a cup of coffee. 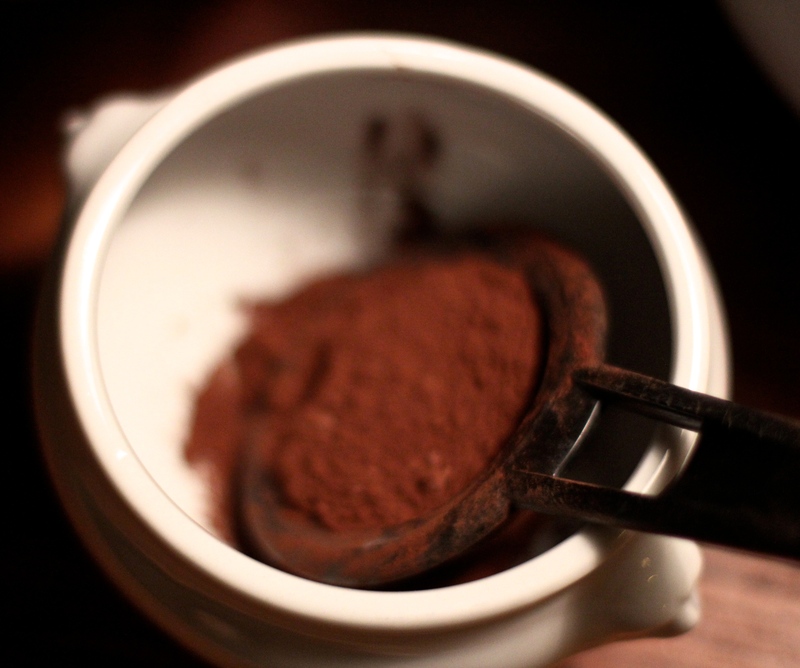 A friend of mine puts some cinnamon in hers, I sometimes make espresso with cardamom seeds. 😉 Hope you like it as much as we do! Simply divine. Your photos are absolutely beautiful.